Click for Coach Mattera’s Bio and Blog! 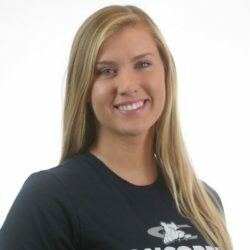 Tara was a first team all state setter and hitter at Brady High School and now runs the floor for Concordia University where she was named HM all conference as a freshman in 2017. She helps with traveling clinics and summer camps and has some lesson availability for setters! Jared Johnson helps us at our clinics in Columbus where he is well known and respected in the volleyball community as the top assistant coach at Central Community College.